Welcome to S*Hafvets Qvarn cattery! S*Hafvets Qvarn is a small home-based cattery in Stockholm approximately 10 minutes from the central station. 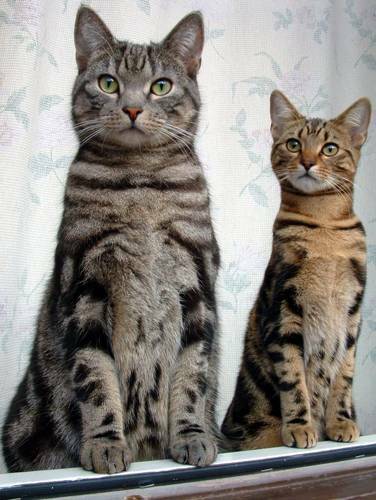 Our cattery specializes in breeding brown tabby and spotted european shorthairs. We intentionally keep our cattery small, so we can give the attention and love our cats deserve. Our goal is to breed healthy, beautiful european shorthairs of excellent temperament and type. Kittens are periodically available, generally we get one litter per year. They are vaccinated and examined by our veterinarian prior to going to their new homes. Our breeding cats are also screened for HCM. All cats have been raised in the house as a part of the family. We would like to meet all potential pet owners before reserve a kitten. Pricing varies depending on the quality of the kitten but the cost is normally about EUR 550 (excluding export costs). If you need more information about our cats, we'll be more than happy to answer any questions you may have.